Hello Nosh Show listeners! Episode 104 is live and ready for listening. 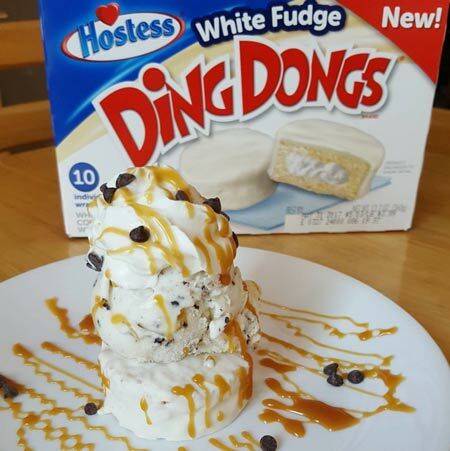 My nosh of the week is going to be the surprisingly enjoyable white fudge ding dongs, but what else will we talk about? So Mtn Dew DEW-S-A was the first thing I tried off of our Nosh or Not list from the last episode. I pop the top and I want to say it smells a bit like grape but I'm not really sure. 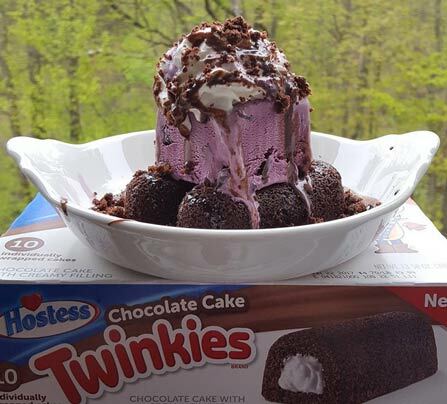 It tastes like... donuts? Dew but not Dew. So I guess it tastes like grape infused Dew. Wait, is that sucralose I taste? Uggg, yup, it is. Are they trying to keep the calorie count down? Oh how I hate sucralose! SPIT! (Ok, I didn't spit it out, but the sucralose will definitely keep me from buying this one again). Double milk chocolate milanos are good, but a little less distinct than the regular double chocolate milanos. 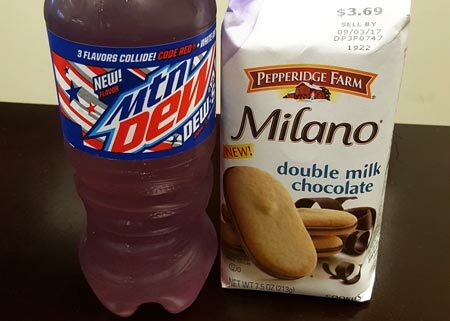 Both are good and milano will continue to be my go to treat cookie right now. 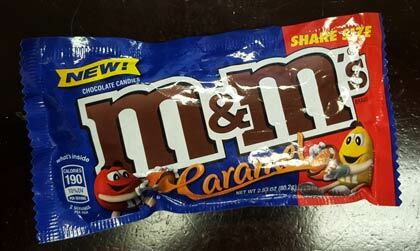 Caramel M&M's? I like them. They are basically a candy coated Rolo so if you dig Rolos and are curious about what it would be like for them to have a bit of crunch then you definitely need to check these out. I saw the bigger bag of these at Walmart yesterday and almost grabbed it... I guess I should have as I wound up buying another small bag a few days later. Lastly, I spent a few minutes venting about McDonald's and their terrible grilled chicken and their terrible service. What you see on the right is what I ordered and what you see on the left is what I got the first time around (just let that sink in for a moment). Keeping in mind that I recently got a moldy bun while trying the Mozzarella grilled chicken from Wendy's and I start to think the universe doesn't want me going out for lunch anymore. Alright, that's it for now, have a good week everyone!